$100.0 DRESSER - Vintage French Provincial.Bassett EXCELLENT CONDITION!! $1825.0 Vintage Queen Anne Antique Style Walnut Five Drawer Dresser Chest of Drawers FS! 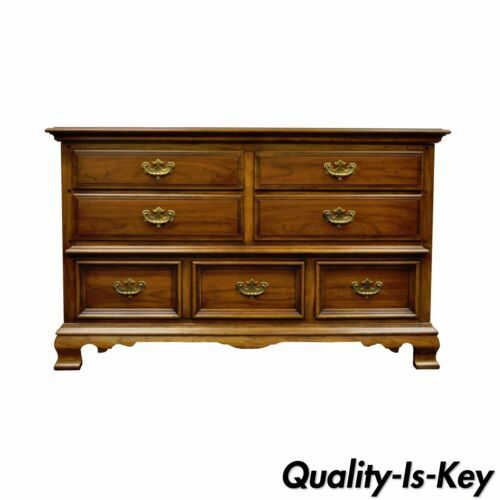 $2580.0 Antique Style Queen Anne Chest of Drawers Dresser on Legs Light Wood Bedroom FS! 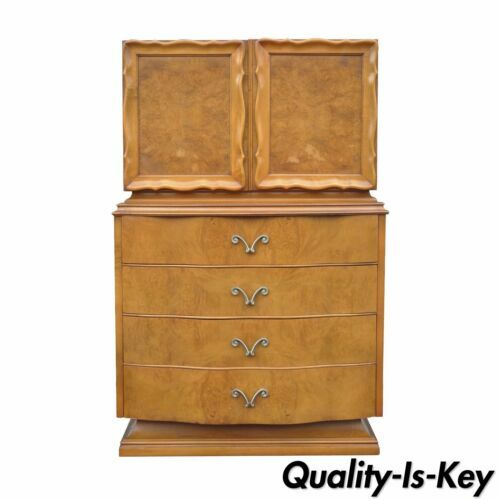 $688.49 Henredon Heritage Serpentine Walnut 8 Drawer Dresser + Mirror Sheraton Mid C.
$1185.0 Tiger Maple Chest of Drawers - Circa 1830 - Delivery Available! Buy: $1600.0 Beautiful Art Deco Vanity with Mirror and Chair by Rway Northern Furniture Co.
Buy: $1695.0 Pine Chest of Nine Drawers from Lightly-Used Reclaimed Pine. 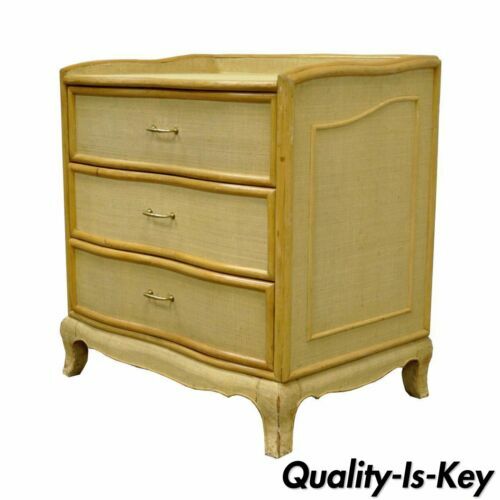 $3825.0 Antique Large Art Deco Style Bedroom Bird's Eye Maple Scottish Dresser Chest FS! Buy: $1299.0 SLIGH CROSS COUNTRY COLLECTION VINTAGE MID - CENTURY MODERN - OVER 10’ LONG!!!!! 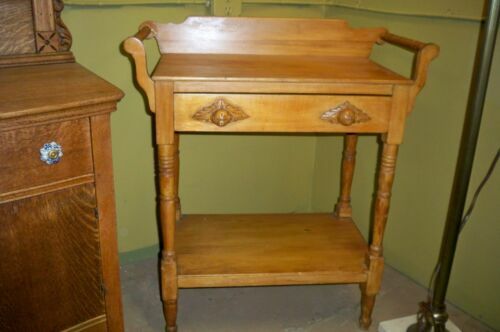 $290.0 Antique Pine Vanity, with mirror and keyed center drawer. $850.0 Antique Dresser Biedermeier Chest of Drawers, Gorgeous Wood Detailing w/ KEY! Buy: $2500.0 RWAY Mid Century Modern 7 piece Dining room set. 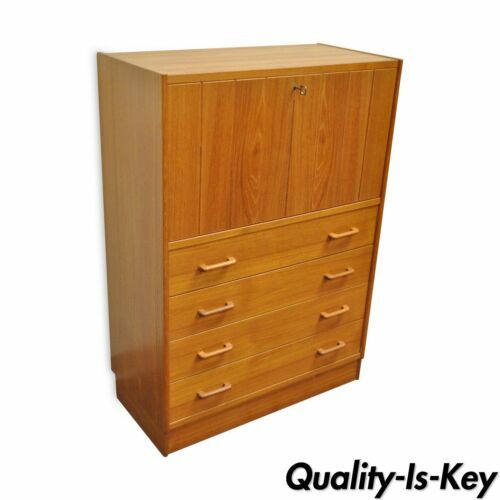 Buy: $10000.0 Mysterious Chest Of Drawers. Buy: $500.0 Slightly used shabby chic distressed dresser in light brown/tan 39"x14 1/2"x31"